A galactic security specialist expects a quiet vacation visit to his daughter's college campus. Instead he finds himself in battling for the safety of the students, with old friends and an ex-military squad-mate fighting at his side. Can they find a cunning serial killer before he finds his next target? 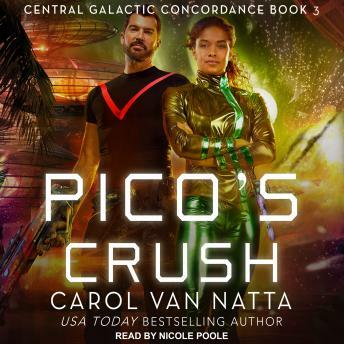 When ex-military sniper and current personal security specialist Jerzi Adams visits his daughter Pico's quiet college on the paradise-like planet of Nila Marbela, he doesn't expect emergency evacuations and rogue robots. Nor does he expect to renew a friendship with former squad-mate. Explosions, sabotage, and assaults used to be Andra De Luna's daily routine, but she gave it up for a professorship at a prestigious university. Now she's flung back into that world, with an entire floating campus of students to protect. When the hunt for a cunning serial killer leads Jerzi's old friends Luka and Mairwen (Overload Flux) to town, there's trouble in paradise as the body count starts to rise. Either the world of academia has gone from merely cutthroat to downright deadly, or more sinister forces are in conflict, with the campus as a battleground. Without an improvised miracle or two, no one's going to make it out alive.